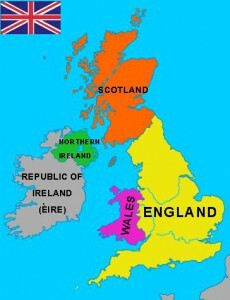 England is a part of Great Britain or the United Kingdom, and makes up the southern half. You can see it below in Yellow. Can you believe London, England is 4,287 mi away from Omaha, Nebraska. To get there you would have to take at least two different planes! Design an English castle and try to include at least 5 different shapes! Share what you learned below or with your EY Coordinator!